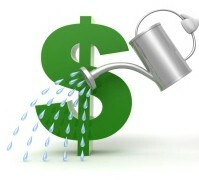 Why not start off with an income property instead of a house and stop throwing money away on rent? Your landlord has been letting you pay his mortgage, why not let somebody help you pay yours instead? Qualifying to buy 2 to 4 units is not much different than getting a mortgage for a single family home. PLUS, some of the income generated by the unit(s) you are not occupying yourself can be counted towards your own income to qualify you for a higher purchase price. 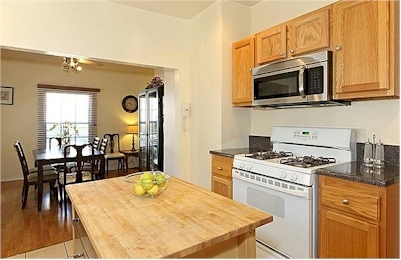 Why not make your first Silver Lake home be a duplex or 2 houses on a lot? My husband and I did exactly that when we bought our first property. 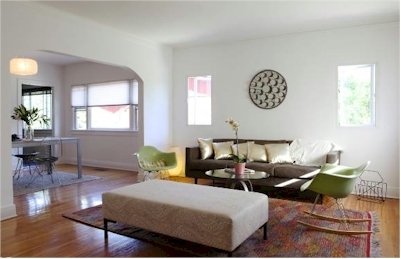 Silver Lake rentals were commanding great rents (they still do!). Why not buy ourselves a place to live that would also help our bottom line? So for not much more than we were paying to rent a 1-bedroom apartment in a triplex, we moved into a 2-bedroom unit in our property and rented out the bottom unit . We lived in our duplex for 5 years before buying a house and that Silver Lake duplex is even a better investment for us now than it was when we bought it. I know, you don't want to have to 'deal' with tenants. Huh? If you are currently renting, YOU are a tenant. Wouldn't you be willing to rent to someone like yourself? When you buy a house, you don't get to choose your neighbor but if you buy a duplex you actually DO! How many "bad" tenants would even be interested in living next door to their landlords? I would think the odds are pretty slim. Personally, we had a series of great tenants, many of which we are still in touch with long after they moved on. Silver Lake , Los Feliz and Echo Park are great places to own income property. The neighborhoods are highly sought after and nice properties demand high rents. Los Angeles does have rent control, but you are still able to increase rent annually by the amount set forth by the city. Besides bringing in cash to help with your expenses, you are able to depreciate the portion of the property that you do not occupy. That can offset the taxable income from the rent you receive. Your tax adviser can explain that particular benefit of owning income property. We were able to depreciate half of our Silver Lake duplex while we lived there, and now that we rent out the other half as well, we can depreciate both units. It's a huge tax advantage that many would-be buyers are simply not aware of. Your property appreciates in market value, but depreciates for the purpose of taxes. It can't get much better than that! If what I'm telling you gets your real estate juices flowing, read on! 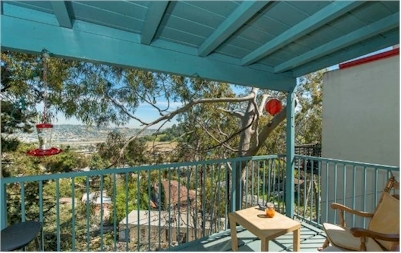 There are currently a few Silver Lake area properties on the market. Buy one and stop payring rent, build equity and take advantage of tax benefits you may have not know where available to you. 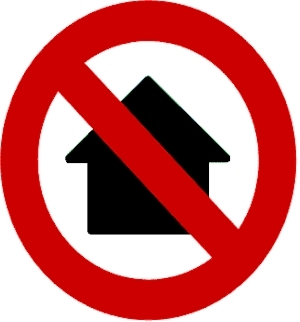 Due to Los Angeles Rent Control, it's best to look for a property with at least one unit vacant so that you cam move in without having to pay out relocation fees. If more units are vacant, that's even better. You can choose your own tenant and set the rent to whatever the market will bear. If you'd like to see any of these, give us a call and we'll make arrangements! We can also supply you with information on the most current rent stabilization laws in Los Angeles as well as help you determine cities in Los Angeles County that do not currently have rent control. How about TWO houses on a lot in Los Feliz? The front house is 3 beds/ 2 bath and the back is 1+2. Both units are vacant. Move into the front and rent out the back. If you don't need more than a 1-bedroom, live in back and rent the front for an even bigger profit. Listed at $689,000 this is one of the best priced properties of it's type in the area. It right at the apex of Los Feliz and Silver Lake- just around the corner from the Vista Theater. Here's another property that's 2 houses on 1 lot that will both be delivered vacant. Each house has 2 bedrooms and 1.75 baths. You could even go in with a friend and split the cost. Listed at $730,000, it's in the flats of Los Feliz and could use some cosmetic updating but it's a great opportunity to live so close to Los Feliz Village. Are you a fan of Atwater Village? This little property is another great investment. The front house is 2 bedrooms and 1 bath while the rear has 1 bed an 1 bath. It's listed at $799,000 and it's a 1920's Spanish style with alot of the original character intact. If you already own a home or you don't mind paying to relocate tenants, this piece of architectural history might also interest you. It's a connected, side-by-side duplex with both units having 3 bedrooms and 2 baths. 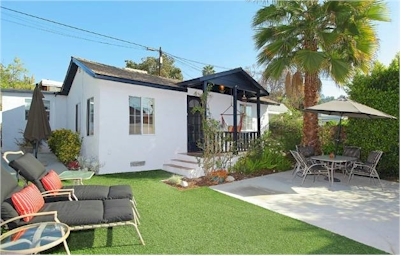 This Silver Lake property is a post and beam built by Allyn Morris in the 60's. It's $899,000 with each unit renting just shy of $2,600 per month. The market rent for a 3 bedroom in this area is certainly higher than that so there is a definite upside potential. These are just a few of the currently available Silver Lake area income properties you might consider. For a complete list of available properties and more information on owning income property in Silver Lake and surrounding neighborhoods, give us a call. It would be our pleasure to start you on your way to owning investment property.